What is Zymox Otic Enzymatic Solution Hydrocortisone Free? Zymox Otic Enzymatic Solution Hydrocortisone Free is an enzymatic treatment for otitis externa (outer ear infection) in cats and dogs. 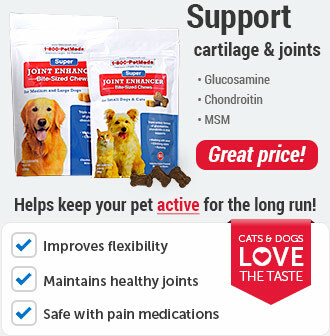 It treats the ear externally for acute and chronic inflammation caused by bacterial, fungal, and yeast infections. 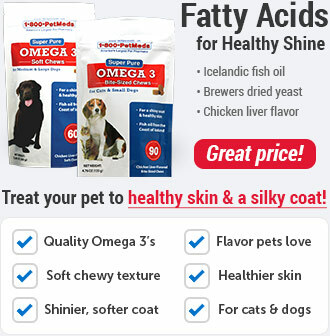 This effective enzymatic system supports the natural defense mechanism of your pet's body to kill harmful bacteria, fungi, and yeast. Some factors that may contribute to possible ear infections include: excessive hair, a suppressed immune system, and excessive skin folds in the ear. 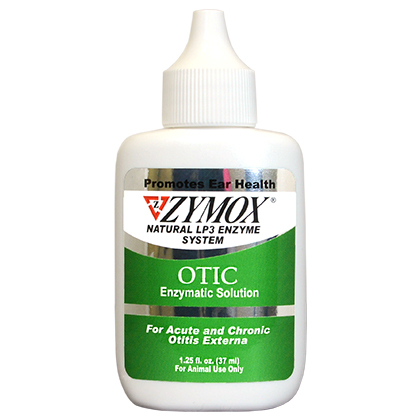 Zymox Otic Enzymatic Solution Hydrocortisone Free is a once-a-day treatment that requires no pre-cleaning and is non-invasive for easy use. It may be used to treat both acute and chronic ear infections and is safe for extended use on persistent cases of otitis externa. 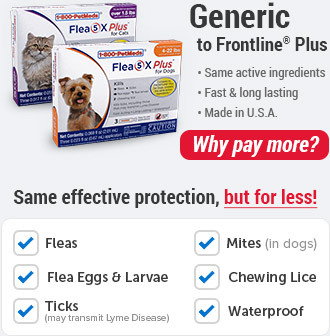 NOTE: Zymox Otic Enzymatic Solution with Hydrocortisone is also available for dogs and cats who need extra relief from itching, inflammation, redness, and swelling. How does Zymox Otic Enzymatic Solution Hydrocortisone Free work? 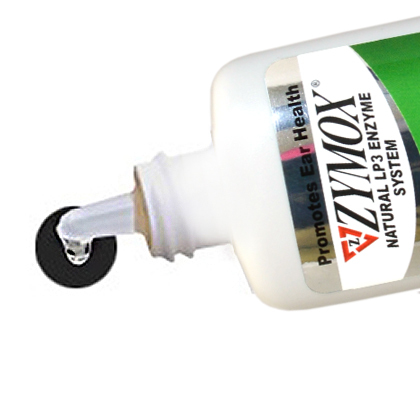 Zymox Otic Enzymatic Solution Hydrocortisone Free has what the manufacturer calls the Zymox LP3 Enzyme System. Each enzyme has its own unique properties that, when combined, becomes a powerful antimicrobial formula. Lactoperoxidase is a milk derived enzyme that is combined in a system along with glucose oxidase to form the hypothiocyanate or hypoiodite ion to oxidize the metabolic pathways of microorganisms. Glucose Oxidase is an enzyme that works with Lactoperoxidase to form antimicrobial ions. Lysozyme is an enzyme that effectively kills harmful bacteria by disrupting the formation of the cell wall. Lactoferrin is an iron-binding protein that inhibits microorganism growth by depriving them of iron. Zymox Otic Enzymatic Solution Hydrocortisone Free may not work if used with other topical ear medications or cleansers. Do not use this product when using any other topical ear medications or cleaners, as this may inhibit the enzyme activity of Zymox Otic Enzymatic Solution Hydrocortisone Free. DO NOT clean your pet's ears before or during use. Doing so will disrupt the enzyme system. Do not use this product when using any other topical ear medications or cleaners. 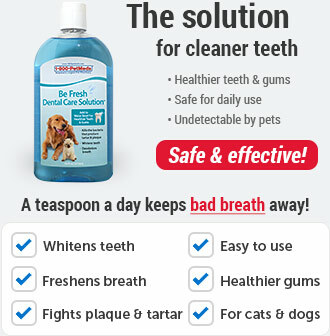 This product is for pet use only. Do not use on punctured ear drums. Do not allow water in or near your pet's ears during use. Reapply if water gets in the ears. 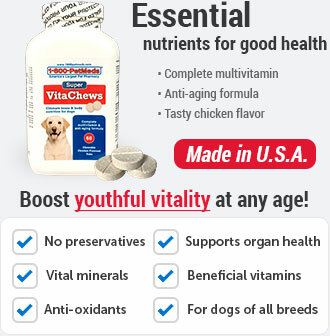 If the condition persists or worsens, discontinue use and consult your veterinarian. 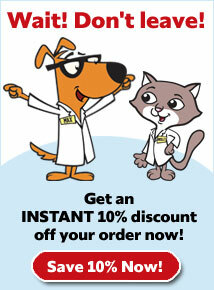 Zymox Otic Enzymatic Solution Hydrocortisone Free is used in the treatment of otitis externa (outer ear infection). DO NOTclean ear before or during use. Doing so will disrupt the enzyme system. Do not use in conjunction with other topical ear products or ear cleaners. Zymox Otic Enzymatic Solution Hydrocortisone Free is safe for extended use on persistent cases. Shake well before use. Apply liberally toun-cleanedear, filling the ear canal. Gently massage and work into affected area. Wipe to remove excess. Apply once a day for 7 days. For chronic infections, treat once a day for 14 days. Propylene Glycol, Glycerin, Benzyl Alcohol, Dextrose, Hydroxy Propyl Cellulose, Purified Water, Potassium Iodide, Lactoperoxidase, Glucose Oxidase, Lysozyme, Lactoferrin.